Saline County is named for Saline Creek as the making of salt from the Salines was a major part of the industry of the region. 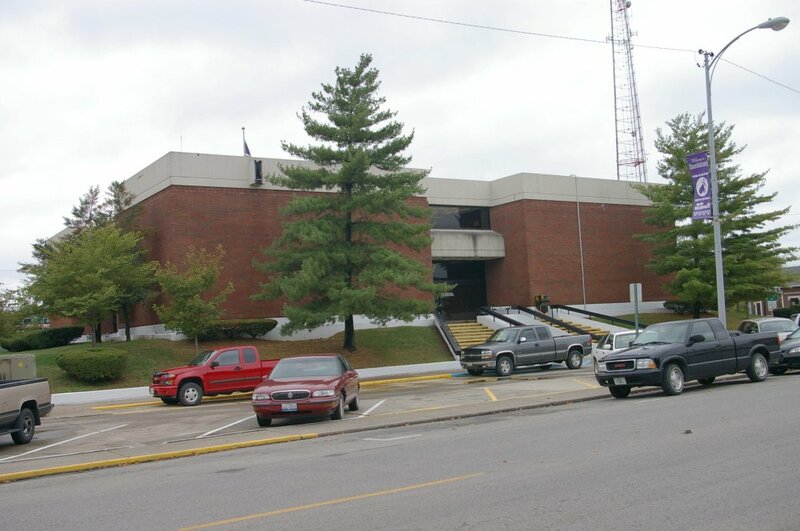 Description: The building faces north and is a two story red colored brick, concrete and glass structure. On the east and west sides large windows are along the first story divided by a wide horizontal concrete band from the windows on the second story. The wide white colored band continues along the roof line. 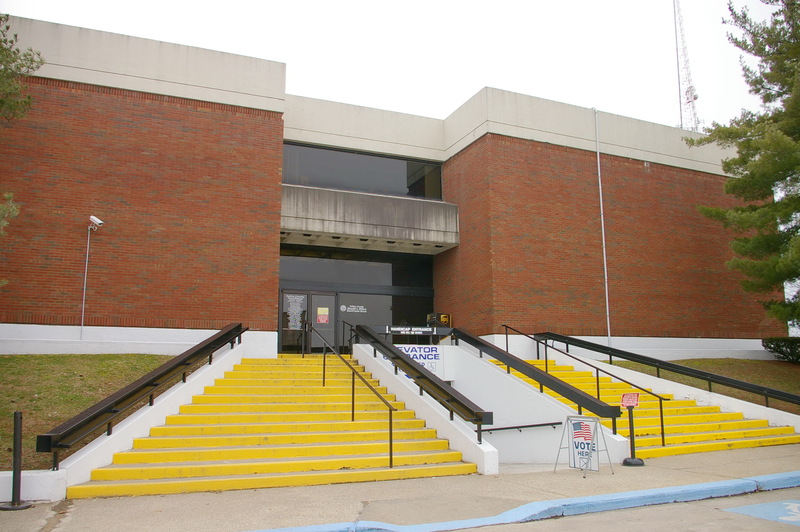 The north and south entrances have a wide horizontal concrete band above the entrance with window above. 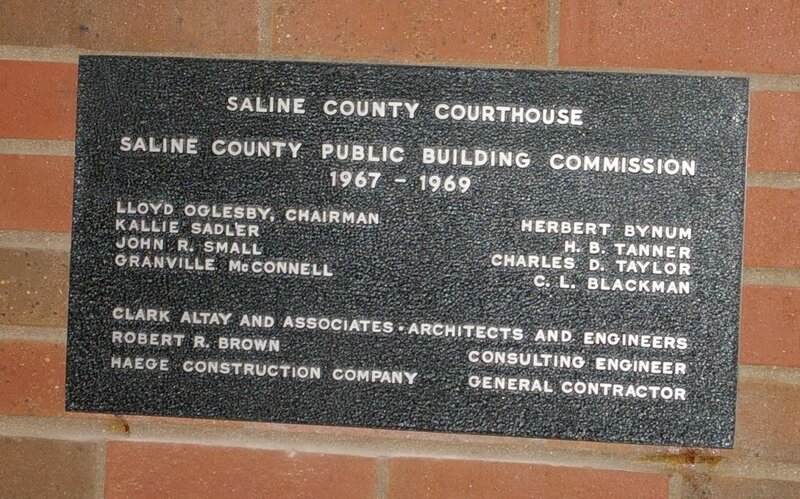 Note: The first courthouse was designed by J K Kirk & Company in 1861. 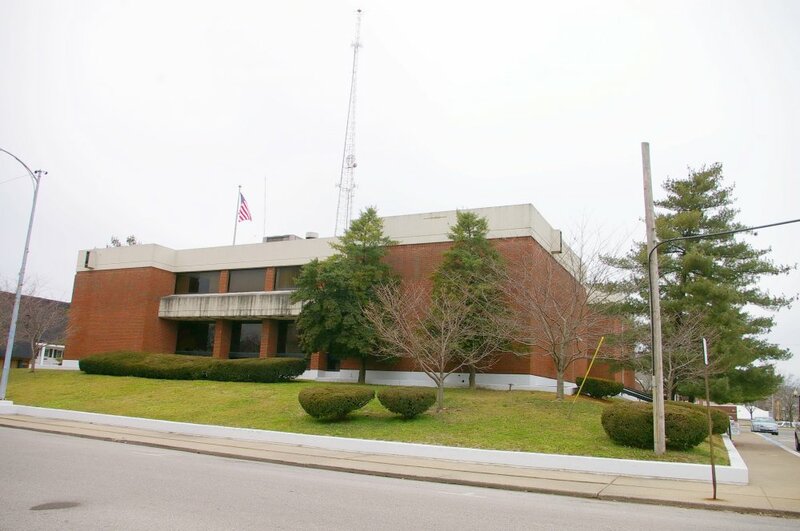 The previous courthouse was designed by John D Gaddes and constructed by Ford & King in 1905. 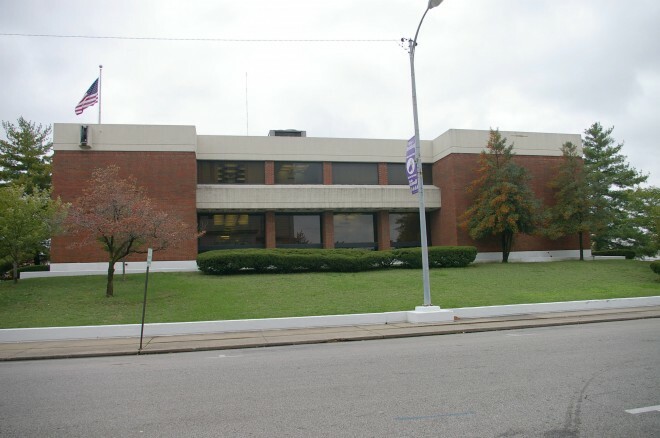 The building was razed for the present courthouse.